IBM agreed to acquire SoftLayer Technologies, which operates 13 data centers in the United States, Asia and Europe. Financial terms were not disclosed. Bloomberg valued the deal at about $2 billion. SoftLayer allows clients to buy enterprise-class cloud services on dedicated or shared servers, offering clients a choice of where to deploy their applications. The company is based in Dallas, Texas, and serves approximately 21,000 customers. 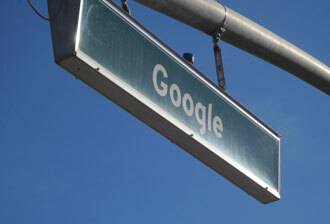 SoftLayer's majority shareholder is GI Partners of Menlo Park, California. IBM said the acquisition will strengthen its position in cloud computing and will help speed business adoption of public and private cloud solutions. Already one of the world’s leading cloud providers, IBM expects to reach $7 billion annually in cloud revenue by the end of 2015. IBM also announced the formation of a new Cloud Services division. The new division will provide a broad range of choices to both IBM and SoftLayer clients, ISVs, channel partners and technology partners. 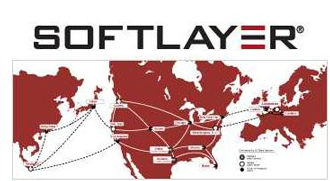 SoftLayer’s services will complement the existing portfolio with its focus, simplicity and speed. The division will report to Erich Clementi, Senior Vice President, IBM Global Technology Services. IBM plans to expand SoftLayer cloud offerings to include OpenStack capabilities. Verizon will to install Bloom Energy fuel cell systems at three of its California-based locations: two call-switching centers in Los Angeles and San Francisco and a data center in San Jose. The solid oxide fuel cells are expected to generate more than 16 million kilowatt hours of clean electricity for Verizon in California each year. In April, Verizon announced plans to spend $100 million in a solar and fuel-cell energy projects to help power 19 of its facilities in seven states across the country. Together with this new project, Verizon will be on track to generate more than 90 million kilowatt hours of its own green energy annually. The project will also eliminate more than 15,000 metric tons of CO2 annually, which is equivalent to the CO2 emissions from more than 1.6 million gallons of gasoline consumed. 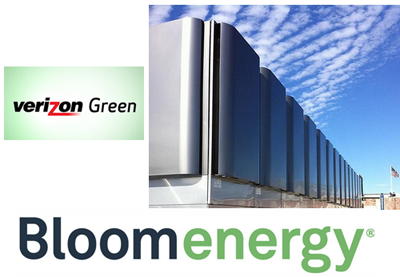 Bloom Energy has previously announced data center deployments by AT&T and NTT America. Google has committed to purchase the entire output power of a new wind farm in northern Sweden for the next decade to power its data center in Finland. Specifically, O2, the wind farm developer, will build a new 72MW wind farm at Maevaara, in Övertorneå and Pajala municipality in northern Sweden. Allianz will provide 100% of the financing for the project. The wind farm is expected to be come online in 2015. Dell introduced its PowerEdge VRTX combining virtualized server compute/storage/networking in a single box design that does not need data center cooling. The high-density box promises up to 86 percent fewer cables and can save customers time, compared to installing individual task-specific systems. In addition it can eliminate the complexity, cost and sprawl of disparate external devices and multiple management tools. For enterprise data centers, Dell also introduced a set of pre-configured "Active Infrastructure" racks for specilized applications, including virtual desktop (VDI) and high-performance clusters for life science environments. Dell is also announcing Active System Manager 7.1, the management layer for Active System that integrates IP from recently acquired Gale Technologies to automate workload and infrastructure deployment through a single console. 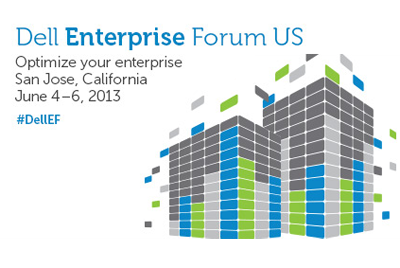 In addition, at Dell Enterprise Forum underway this week in San Jose, Dell announced a strategic alliance with Oracle. Specifically, Dell will offer optimized x86 infrastructure solutions that integrates Oracle' software. Oracle has named Dell a preferred x86 partner, and Dell has named Oracle a preferred enterprise infrastructure partner, including Oracle Linux. “Dell is growing fast in the datacenter and gaining market share across the world in our three core businesses. In part, this success is due to the fact we are focused on building and optimizing Dell infrastructure to help customers run their core mission-critical workloads,” said Marius Haas, president of enterprise solutions for Dell. Cavium introduced two new families of 28nm dual and quad core OCTEON III MIPS64 multicore processors designed for a broad range of applications, including Wired and Wireless Gateways, 802.11ac access points, Switches, Routers, UTM/Security Appliances, Network Attached Storage, etc. The new processors include up to 4 MIPS64 cores with full hardware virtualization, Deep Packet Inspection (DPI), Packet processing, Security and QOS capabilities in a highly integrated System on a Chip. 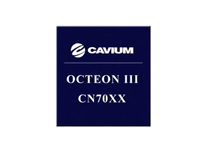 Cavium’s new OCTEON III single, dual and quad-core SoCs are available in a small foot print plastic LBGA package and are targeted for low power and low cost applications. The new designs support full hardware virtualization that allows applications to be 'firewalled' from each other, legacy and newer operating systems to run concurrently and also enables live in-service upgrades. The broad range of connectivity options includes GbE, 10GbE XAUI, SATA 3.0, USB 3.0 and PCIe controllers. Cavium has also included sophisticated power management techniques including "Power Optimizer" to reduce active power and support for Hibernate, Standby and Idle modes of operations that help slash overall power consumption. Commercial availability is expected in Q3. Cavium unveiled an OCTEON Fusion based reference design for enterprise and service provider small cells that provide simultaneous LTE and WCDMA operations. Cavium's Dual-RAT solution extends the capabilities of its widely deployed enterprise-class LTE small cell SoC. A production-ready reference design is available to further assist Cavium’s customers to quickly bring commercial small cell devices to market. This reference design includes manufacturing files as well as LTE and WCDMA L1 – L3 software stacks, application layer APIs and a software development kit. tw telecom has gained Carrier Ethernet 2.0 certification from the Metro Ethernet Forum (MEF) for four of its Ethernet-based products and services. tw telecom becomes the first U.S. service provider with national E-Access EPL and EVPL CE 2.0 certification. E-Access EPL and EVPL deliver wholesale Ethernet access to an external network-to-network interface (ENNI) with a single point of access, scalable to 10 Gig, on tw telecom's national fiber footprint. "CE 2.0 certification is very important in the industry and tells business customers that the products and services we offer deliver world-class connectivity, anytime, anywhere," said Harold Teets, tw telecom's Sr. Vice President – Network Engineering and Technologies. 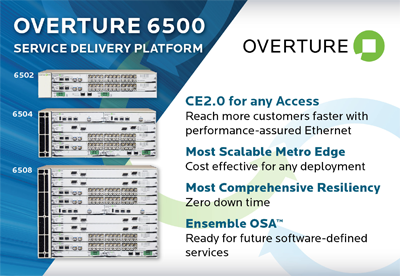 "Our vast national Business Ethernet infrastructure delivers secure, scalable and predictable network connections to thousands of locations and customers." Broadcom introduced a hybrid cable gateway set-top box solution combining DOCSIS 3.0 and Gigabit wireless gateway functionality with HEVC video decoders and a quad video transcoder onto a single piece of silicon. Broadcom integrates the functionality previously required by five different devices. The new device features a dual-core CPU that supports multiple applications running simultaneously in secure memory containers for better security. It also integrates a quad transcoder to enable "TV everywhere" video services on four wireless mobile devices simultaneously, including smartphones and tablets. In addition, by integrating H.265/HEVC video decoder technology, Broadcom's new cable hybrid gateway device transmits high quality video at one-fourth the bandwidth required by MPEG-2 HD, enabling the delivery of UltraHD content using similar bandwidth as today's MPEG-2 1080p HD. It also integrates Full Band Capture tuner, which enables the 32 demodulators to be used for DVB-C/QAM and DOCSIS simultaneously, with complete channel flexibility up to 1GHz. "Broadcom's new BCM7145 is a giant step forward in set-top box gateway chip design and is a key enabler for an all-IP cable platform," said John Gleiter, Broadcom Vice President of Set-top Box Marketing, Broadband Communications Group. "We have engineered a new solution that builds on Broadcom's unmatched, broad-ranged expertise in set-top box devices and our breadth of broadband, MoCA 2.0, Gigabit routing and leading 5G 802.11ac wireless technologies. As a result, the BCM7145 is a breakthrough that delivers what operators want to compete in their markets." 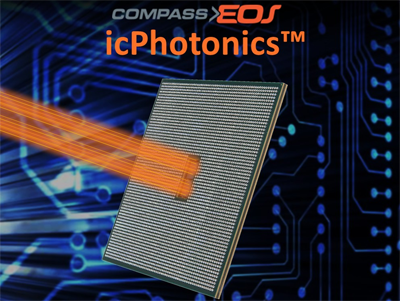 Compass-EOS, which is developing a silicon-to-photonics router, appointed Manouch Khezri as its General Manager North America. Prior to joining Compass-EOS, Mr. Khezri headed Huawei Technologies Company’s North American MSO business development. He has more than 20 years of experience in direct sales management, sales operations, channel sales, and business development. Prior to Huawei, Mr. Khezri served as a partner of the Jazuc group and Vice President at Adva Optical Networking. He’s also served as Vice President of Global Sales at Movaz Networks, a leading supplier of DWDM transport and switching equipment, where he was responsible for sales growth from $0 to more than $100 million per year. Previous to Movaz, Mr. Khezri was Vice President, Sales and Business Development, for Sedona Networks and held sales roles at Premisys Communications and Nortel. Earlier this year, Compass-EOS unveiled its radical silicon-to-photonics router that essentially leverages an on-chip optical mesh and electronics to route high-densities of 100GbE and 10GbE. Overture announced a $10 million venture loan facility with Horizon Technology Finance Corporation. The new facility follows a recently announced $8 million equity investment that includes an opportunity to secure up to $11.7 million. The company said this new facility will accelerate the company’s introduction of its Ensemble Open Service Architecture and continue the expansion of its Carrier Ethernet product portfolio.